Why this stock down 50% after my recommendation: - In 2013 I am not a qualified research analyst. I am also a small investor like you and make same mistakes which you make. 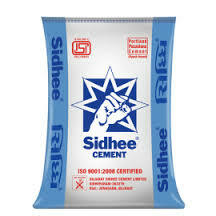 "Hi, Mr. Kaushik can I book my loss in Guj Sidhee Cement? because in this stock I lost my money withing one month and there is no movement so what to do now?" This is the reason that why I do not invest more than 10% of monthly income in a single stock ( Chandu average monthly income is INR 50,000, so he invests INR 5000 in a single stock and increases 7.5% basic investment amount every year, read my book for details). So Chandu enjoys his dividend of 1/- per share and holds Guj Sidhee Cement for one year because he wants the income tax free return. After 1 Year :- On 3July 2014 Chandu see market price of Guj Sidhee Cement, It was 28.35, So Chandu was situated at 23.26% profits, Chandu booked this profit immediately because Chandu already sees 50% notional loss in this stock and not want to hold it for more time. Honesty Comment: - If you download above last 3-year price history then you may see that Guj Sidhee touch 46.40 on 26 Aug 2014. And I do not tell here that Chandu books his 100% profit in Guj Sidhee from 23 to 46. Because honesty is the best policy and I knew that I have no logic to say why Chandu holds it after 23.26% profit on one-year holding, because this recommendation not gives on base price theory, net sale per share theory and book value basis.